Otopeni airport was a two-storey building with plate-glass walls and red-veined marble floors; overstaffed, but with nothing happening …. The airport was a place of perpetual lull, perpetual betweenness, as transitional as the plane we had just left behind. But it’s the transitional places that hold us all the longer and enclose us all the more. 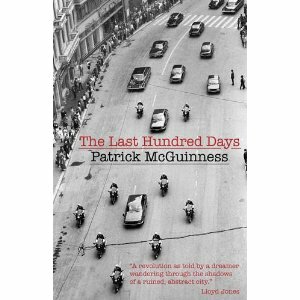 The Last Hundred Days is the debut novel from poet Patrick McGuinness. Set in Romania in 1989, this is a semi-autobiographical account of a young British university lecturer caught in the historic events surrounding Caucescu’s fall. Writing this a week or so after finishing the book, it lingers in my mind with a dreamlike quality; the events depicted almost seem unreal in how they describe a world so different to our own. In terms of a believable account of Romania in the late 80s, McGuinness cannot be faulted. The opening chapters of the book are brilliant, describing the narrator’s arrival in Bucharest and his slow but irreversible immersion into the new culture. There is a thread through the novel that suggests that the narrator will never be able to leave, best personified by the scene where he abandons his trip home to resolve his dead father’s estate. And there is a gritty sense of atmosphere throughout – regret, unease, almost an excitement at the dangers present – from observations of demolition and rebuild in the Romanian capital to uncomfortable encounters with deep set corruption and ugly police brutality. However, The Last Hundred Days is, forgive the pun, at least one hundred pages too long. McGuinness struggles with the burden of resolving his overcomplicated plot, which attempts to present aspects of a thriller (more than once the narrator makes reference to James Bond adventures) with some romantic intrigue (unfortunately McGuinness is not skilled are writing believable romantic encounters). But even if this is an uneven ride (and please employ a better proofreader for your next publication), this is a novel well worth a look. But The Last Hundred Days presented me with a poser. Should a novel be this naturalistic and in essence be little more than a dressed up autobiography? Or can a book be just as, or more, effective with a completely fantastic narrative? I’m thinking of The City and the City by China Miéville, a novel which is essentially a fantasy but nevertheless explores oppression and the absurdity and horror of a police state just as well if not better. 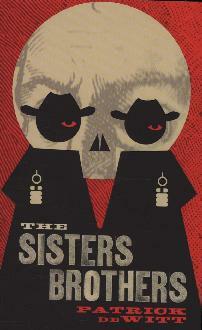 The Sisters Brothers by Patrick deWitt is by far the best of the titles I’ve read from the 2011 Man Booker Longlist. This is a highly original novel, dark in places and often odd, although deWitt always keeps the strangeness in check. An excellent read and highly recommended. deWitt writes a naturalistic Western narrative which is is strengthened further by pivotal female roles and there are also other elements, although carefully placed, of the supernatural and fantastic. Early in the book, the brothers encounter a witch whose actions, originally feared, may turn out to have been benign. Additionally, the spectral presence of the brothers’ mother also runs throughout the story, and I found the maternal importance proving critical towards the novel’s conclusion. Eli and Charlie Sisters are notorious characters in 1850s America, the time of the California Goldrush. They are dispatched by their boss, the mysterious Commodore, to carry out a murder. Cold blooded killing is their line of work, and the brothers escape several scrapes by emerging with the upper hand. deWitt examines their success in these brutal encounters with some subtlety; as brothers they exist as a close knit unit and this duality appears to keep them alive. To emphasise this advantage many of the characters they encounter on their journey are alone and consequently doomed, such as the ranting man they meet at the beginning, the various gold prospectors they run into who are driven mad by isolation and the young boy hopelessly out of his depth in a violent world who tries, unsuccessfully, to latch onto them. Eli, the narrator, is the more thoughtful of the two, running to fat and dreaming of a simple, dull, life and settling down with a girl and opening a shop. The scenes where he cares for his ailing horse, Tub, are strangely eloquent and deWitt draws Eli with such strength as to draw the reader helplessly into his world. But I wouldn’t go as far to say that Eli was likeable, although he is in contrast to his brother Charlie, the more quietly confident of the two. Readily mocking of Eli’s fancies, this is a man who relies on frequent alcoholic benders to purge his demons. Charlie is ostensibly the stronger of the two, although the narrative hints early that such balances can change. And there is such tension in this novel; there is never a relaxing moment when you think that they won’t suddenly draw their guns. The story shifts gear towards its conclusion when it is revealed that the man they are intending to kill, Hermann Warm, has obtained a mysterious formula for detecting gold. 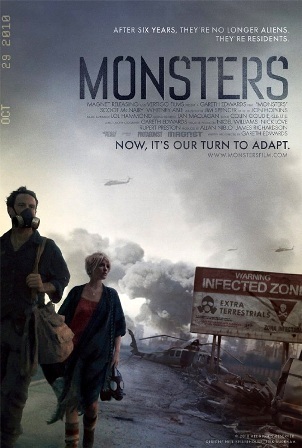 When they finally encounter Warm, who has teamed up with their former associate Morris, the brothers have to alter their approach when they come up against a duality possibly equal to their own. This is where the novel really proves itself as something special, and where a lesser writer may have struggled with such an audacious plot, deWitt manages to handle it with supreme confidence. Throughout, the novel remains refreshing and innovative. I described The Sisters Brothers to somebody and they remarked on seeing a similarity with the work of cinema’s celebrated brothers, the Coens. Indeed, you’d be forgiven for thinking that this novel would transfer well to the screen at their hands, especially in the light of their recent additions to the Western film genre with No Country for Old Men and True Grit. However comparison to the Coen Brothers far from does The Sisters Brothers justice. Actually another recent innovative film came to my mind, Kelly Reichardt’s Meek’s Cutoff. Like The Sisters Brothers, Meek’s Cutoff also doesn’t ignore the role of women in 1850s America. But forget films for now, deWitt’s novel exists as a unique work of art in the novel form: so read it.